Financial service organisations are increasingly faced with the challenge of providing a flexible, customer-centric approach while meeting the growing list of compliance mandates put forth by the government. In addition, many organisations are saddled with inefficient legacy systems that hold them back from achieving their goals and maintaining their edge in today’s competitive environment. Combining transformational technologies like Business Process Management (BPM) and Business Rule Management Systems (BRMS) can automate and streamline financial service systems, allowing organisations to improve their operational efficiency while providing the agility and transparency required for today’s regulatory environment. How to improve operational efficiency while providing agility and transparency into rules and processes. How to future-proof yourself against internal and external policy changes. How to be more nimble to meet evolving needs and regulations. The webinar will also include a live demonstration of a loan origination process using K2 and InRule. The building blocks used to create this process also apply to many other real-world examples. Rik Chomko co-founded InRule Technology® with Loren Goodman in 2002. He was promoted to Chief Operating Officer in 2012, after several years as Chief Product Officer. In his current role, Rik is responsible for the company’s product management and operations, engineering, sales operations, IT infrastructure and business development. 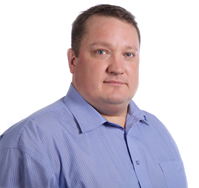 Anthony has over 10 years’ experience working on Microsoft based solutions. He has designed and implemented BPM solutions for a number of large enterprise clients including Rio Tinto, the Royal Mail and Mizuho Bank. Anthony is a Technical Specialist for K2 focusing on customer pilot engagements, proof of concepts and new partner technology initiatives including CoSign by ARX.